Whomp whomp. There're no Neon Green (LittleRubberGuys)s for sale. 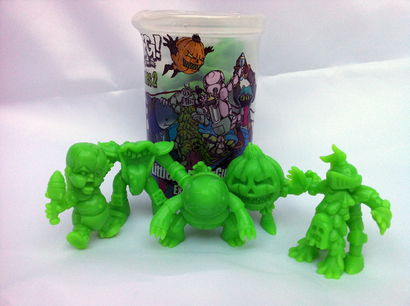 One of 4 OMFG Series 2 exclusives from LittleRubberGuys.com and October Toys. Comes complete with plastic container and container top with sweet side panel graphics. Clear container with side panel graphics. I'm a huge fan of the OMFG Series from October Toys. These second series figures are great and Little Rubber Guys had a great collection of exclusive colorways.